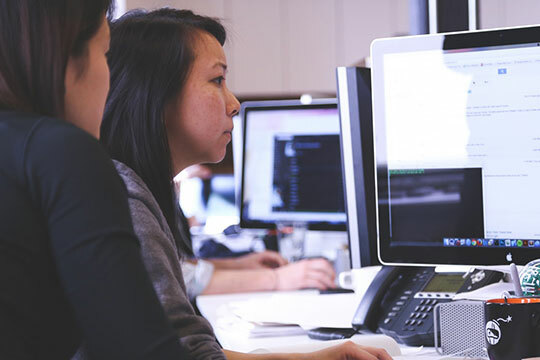 Losing data is a big headache when it includes important work files because once lost, it is not a simple task to recover it. In mobile phones, it is quite easy to recover the lost data, but in case of desktops and laptops, it is the most difficult task. One needs to take the devices to a service station and get it done, which is a highly chargeable process and also consumes much of the time. In this scenario, the effectiveness of a data recovery software is quite prominent. 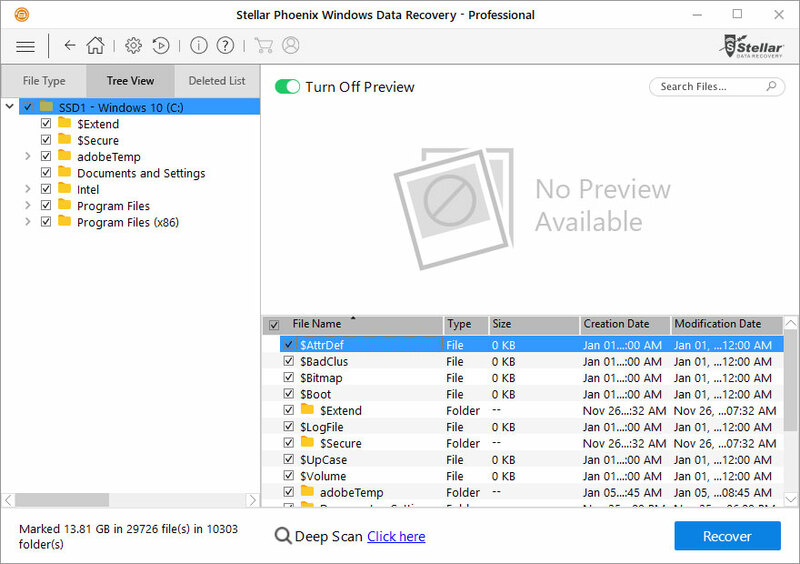 Well, this issue has now been overcome by software named Stellar Phoenix Windows Data Recovery Professional. Made especially for the Windows operating system, the software is the best one for data recovery purpose. 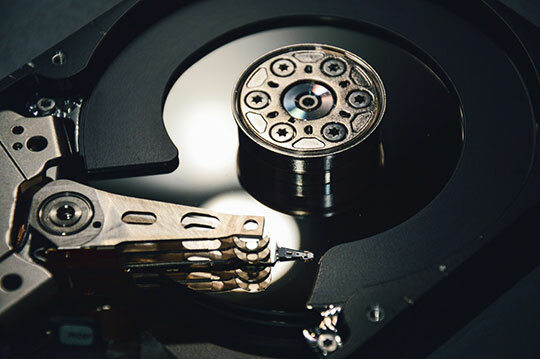 It helps to recover the data like documents files, audio, video, and images lost due to the formatting of computer drive, accidental deletion of files by mistake, virus attack or other human errors. 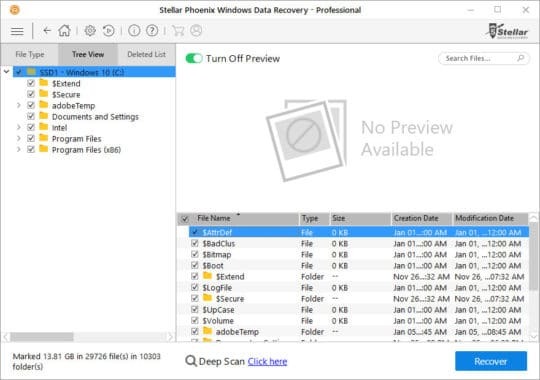 Let us see what Stellar Phoenix Windows Data Recovery Professional is all about. 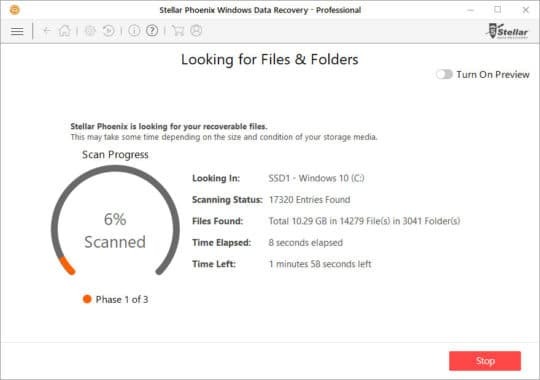 The Stellar Phoenix Windows Data Recovery Professional has a great rate of retrieving lost files and is equipped with a splendid set of features. Its user interface is quite simple for performing basic tasks but lags behind when it comes to carrying out some tasks of higher levels. Overall, the software performs excellent recovery process and has a good performance. Due to its ease of use, its customers are highly satisfied. Stellar Phoenix Windows Data Recovery Professional has a special feature of pre-recovery preview in which user can preview the lost or deleted files before recovering and then choose the desired files to recover. The Stellar Phoenix Windows Data Recovery Pro recovers almost all types of computer files. The recovery includes document formats like PDF, Word, Excel, and PowerPoint. Image files of the format JPEG, PNG, RAW, Photoshop, and Illustrator are recoverable with this software. MP3, WAV, AIFF, AAC, Ogg are the audio files that can be recovered. The video files of the formats MPEG-4, WMV, QuickTime, and Avi are recovered with the help of Windows Data Recovery Pro. It also helps in recovering the archive files of ZIP, RAR, GZIP and Stuffit formats. Recommended for you: ClickMeeting Review – A Brandable Smart Webinar Software. 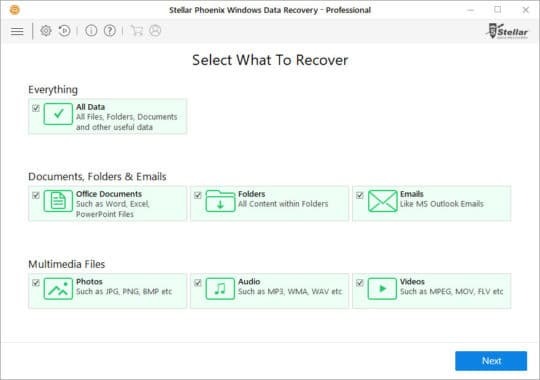 In order to recover the lost files, the user of Stellar Phoenix Windows Data Recovery Pro needs to follow a very simple set of procedure. The procedure of recovery is a follows. The first step after downloading and installing the software is to select the type of file you wish to recover. The software lets you recover file types like documents, audio and video files and image files as well. Next step is to select the location in order to save the files that must be recovered. After you select the desired location, click the scan option positioned at the bottom right of the software dashboard. When you select this option, the software quickly starts scanning for the lost data and recovers it according to your preferences. As the scanning is done, you can check for the recovered data classifies in Tree View, File Type, and Deleted List. You can now choose any desired file to preview it and then click on Recover Button to save the file. You may also like: Provide Data Security Over Cloud-Based Services to Fight Against Security Challenges. 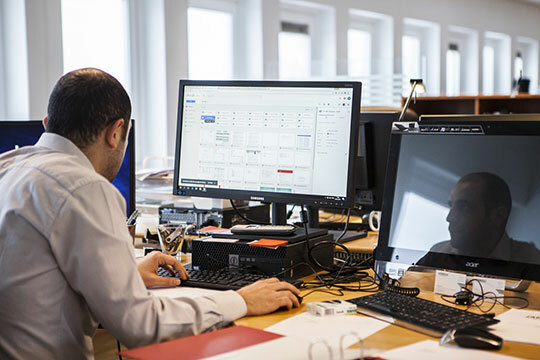 The Windows Data Recovery software is available to its customers in 3 different options and chargeable on a lifetime basis. Though you can free download the software and see if your files are recoverable or not before buying it. 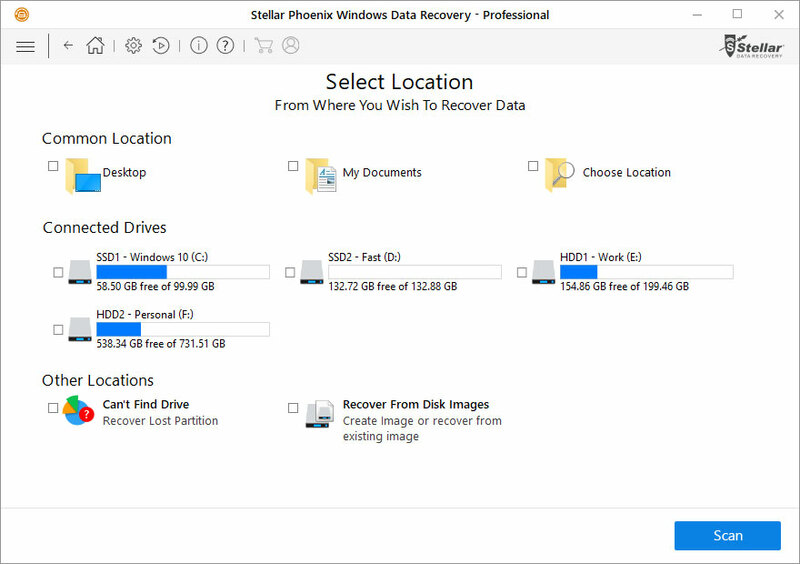 Using Stellar Phoenix Windows Data Recovery Professional is quite simple with an easy recovery procedure. The software performs very well and scans for the lost data deeply. 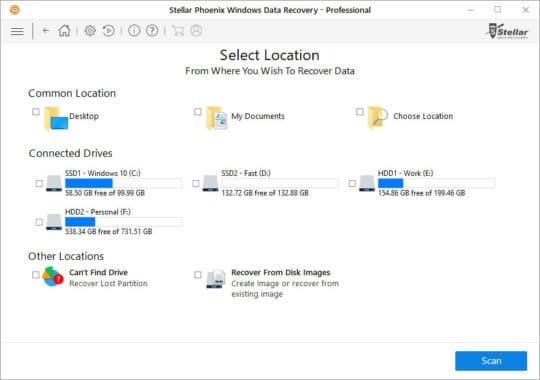 It is a quite highly priced data recovery application, but when compared to other data recovery applications, Stellar Phoenix Windows Data Recovery Professional would score 8 out of 10.